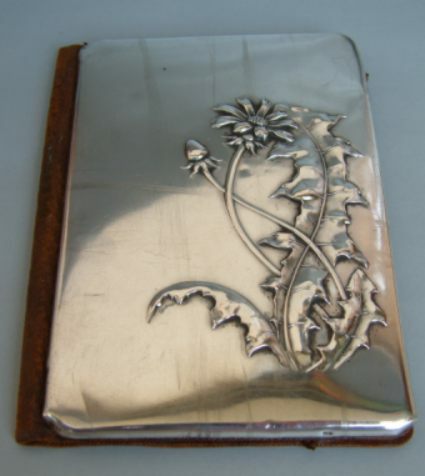 this is a leather wallet with silver cover embossed with a pair of stalks of dandelion (Taraxacum officinale) bearing single head of flowers and large leaves with margin cut into great jagged teeth. 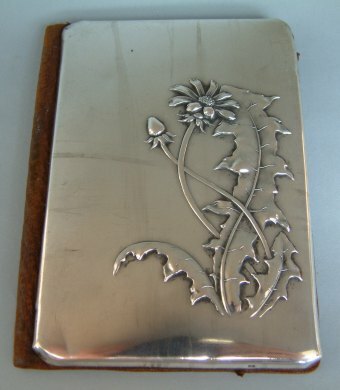 The cover is marked "800" (silver degree 800/1000) and the decoration is a typical example of Art Nouveau style. 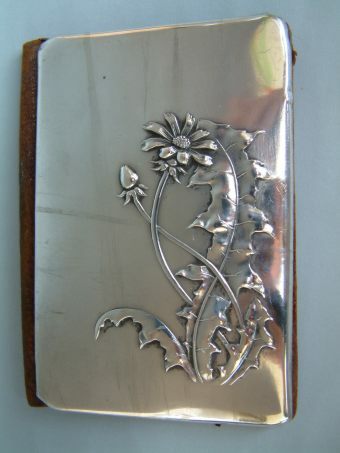 The wallet was probably made in Spain at the end of XIX century. 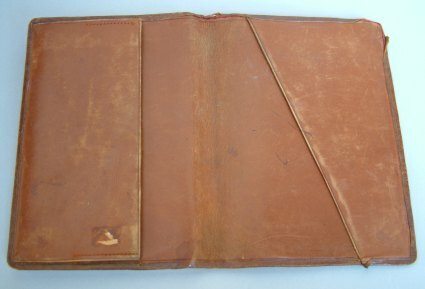 The wallet measures 4 3/4 x 3 1/4 in. 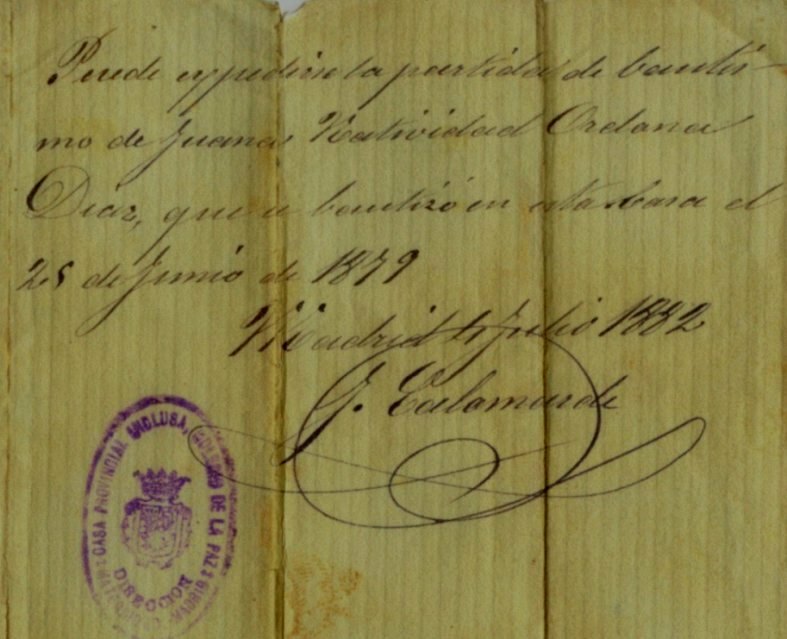 (cm. 12,5 x 8) and was bought from a Spanish dealer at the Rastro Market in Madrid (Spain). 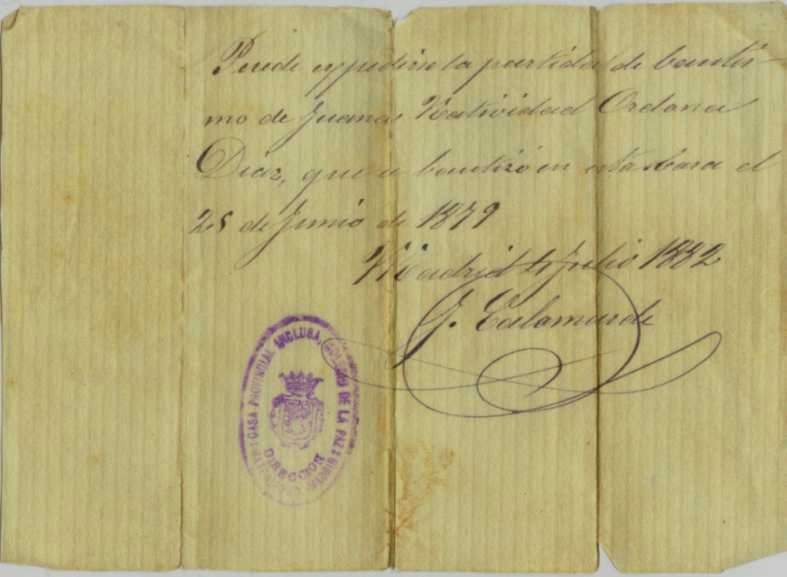 Hidden in a pocket at the interior of the wallet there was an ancient christening certificate of Juana Natividad Orelana Diaz, who was baptized on June 25, 1879 in the Colegio de la Paz - Madrid.